More than thirteen years after the launch of the original Xbox, and the gaming console still feels like a separate business. Microsoft’s new Xbox app appears to close the gap somewhat. The Xbox app will be released at the same time as the new build of Windows 10 is released, Microsoft executives said at Microsoft’s Windows 10 event Wednesday. They described it as about “60 percent finished,” meaning that some UI features and design elements will probably change between now and the final version. 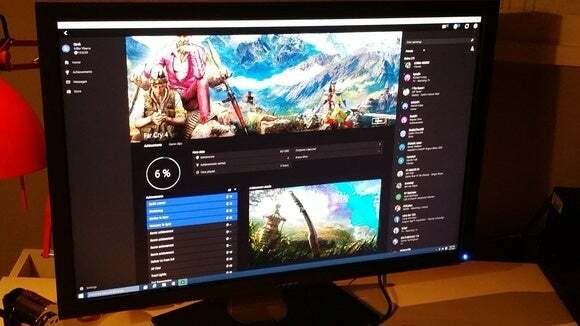 Unfortunately, the app’s standout feature —streaming Xbox One games onto Windows 10 PCs—wasn’t available to demonstrate. It just wasn’t ready to show off yet, executives said. Detailed screens show your progress through various games. 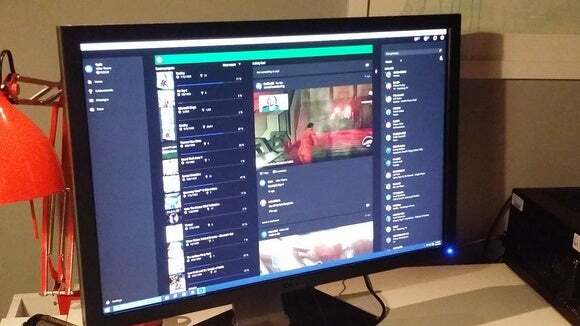 The current state of play, if you will, between Windows and the Xbox is best summed up with the Xbox SmartGlass app for phones and tablets. SmartGlass shows you what games you’ve played, your achievements and progress, and also serves as a secondary screen in some applications. It’s a nice visual summary, without a tremendous amount of detail. The Xbox app makes SmartGlass look like a casual game like Threes, by comparison. Visually, it feels something like a role-playing game like World of Warcraft, with detailed metrics for your Xbox gamerscore, the games you’ve played, the progress achieved in each, and so on. And that detail is also provided for each of your friends and followers, together with the social elements that Microsoft has already built into the Xbox One platform. You can even follow individual games themselves, a shortcut to interact with the game’s developer, who may post polls, hints at new features, and the like to engage with fans. Naturally, there’s game streaming, too. The layout is divided into three columns, with games you’ve played on the left, that large social stream in the middle, and your friends to the right. 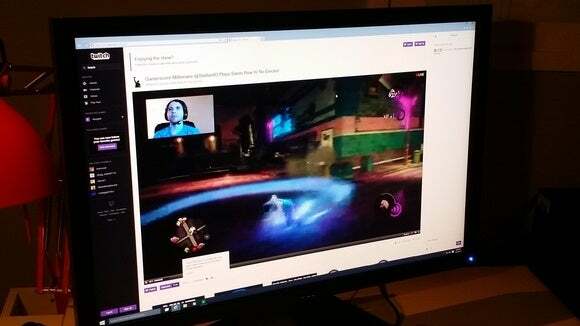 If the streaming feature had been enabled, you’d be able to associate your Xbox One with the account, right-click a game, and then stream it to your PC. The app will track both Xbox and Windows 10 games. It wasn’t entirely clear what social aspects will be built into the app itself, although a safe bet will be the game-streaming service Twitch, plus Facebook and Twitter. It’s not clear whether or not you’ll be able to schedule or initiate gameplay requests from within the app itself, but that’s a feature that most certainly would be welcomed. As the keynote address demonstrated, at least some games will be playable cooperatively across both the Xbox One and Windows 10 PCs alike. Why this matters: Does the new app herald an era of console gamers and PC gamers living harmoniously, hand-in-hand? Well, they sort of do already. But tying the Xbox to the PC gaming community strengthens both, and puts pressure on Sony and Nintendo to continue differentiating themselves.